Science and religion are often at odds with each other. Ken Ungerecht, who has been driven by his passionate, open-minded search for a greater spiritual understanding for over 40 years, believes that science and religion are not only reconcilable, that science can, in fact, prove religion. 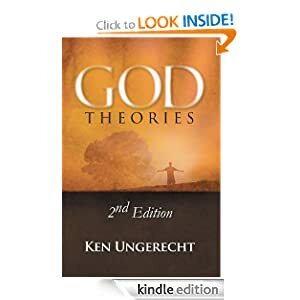 As an engineer and former science teacher, Ungerecht applies his scientific knowledge to his passionate spiritual quest, which he documents in his book, God Theories. None of us could have possibly come into this world by chance or luck. Therefore, conscious choice from outside the physical realm had to be a part of the process of how we did come into this world. The Essence of who we are cannot possibly depend upon the creation of a particular physical body. Therefore the Essence of who we are must both pre-exist and post-exist any physical body in which it may find itself at any given moment. Therefore we are all, in essence, Eternal Spiritual Beings. Although Ungerecht takes a scientific approach, his theories are still accessible to the average reader. He incorporates the basic principles of matter, energy, and consciousness with which everyone is familiar. Ungerecht outlines the various origin of life theories: Creation, Intelligent Design, and Evolution, expanding upon them by introducing a new, fourth theory, which combines aspects of each of the three theories, as well as expanding on the idea that consciousness in an inherent quality of all matter and energy.